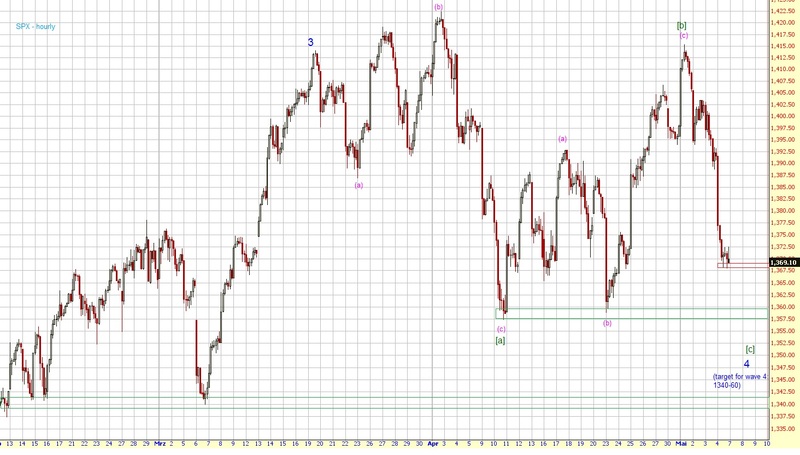 The SPX then sold off to below 1370. Today in pre-market, the futures declined even further and hit 1342.5 (~SPX 1346). Right now, the ES is back near 1360 so the SPX should open around the support level at 1360ish.